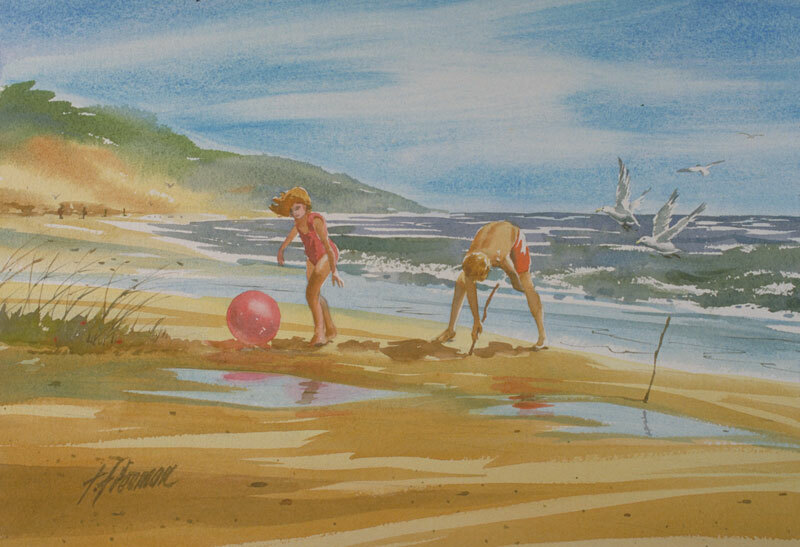 Thomas Freeman Original Watercolor Painting: "Circles in the Sand"
A photograph of two children playing on one of the many coastal beaches near us started this painting. The idle water reflects the sky and the ever-present gulls are investigating things. For birds seen close up as here I have a bird book I consult to insure realism. This appeared in a recent SWA Annual Show.